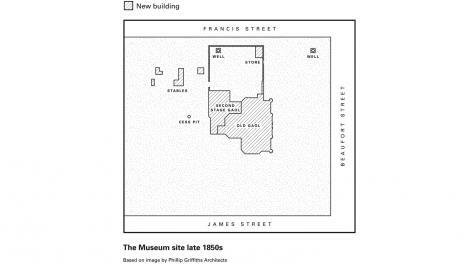 The following timeline outlines the major changes and developments on the site where the Western Australian Museum – Perth is now located. 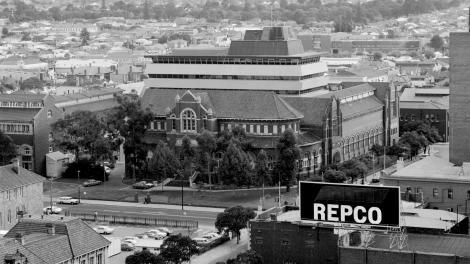 Well before the WA Museum was on this site it was part of a landscape that was a large system of freshwater lakes, swamps and wetlands. For thousands of years, my old people used to rely on the wetlands, freshwater springs and ochre pits that surround the area where the Museum stands today. When food was abundant, Nyoongar people gathered to share in the rich and diverse plant and animal resources, practice their Lore and cultural rituals and catch up with family and friends. 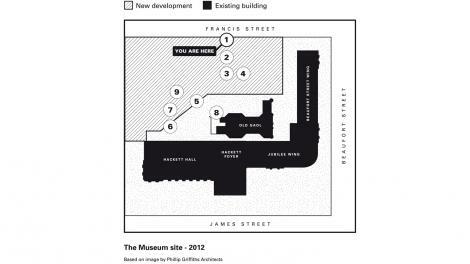 The following details show how the Museum site has developed over time. 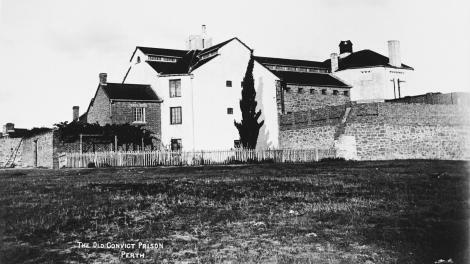 Surveyor General Roe chooses the current Perth Cultural Centre site to build the Perth Gaol and house convicts sent here to work. The Perth Gaol construction is complete. 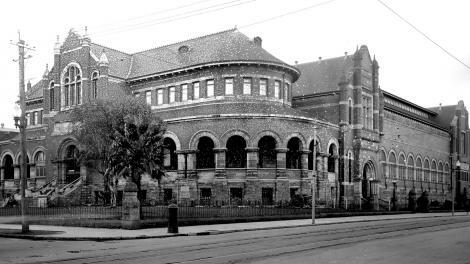 The WA Museum is established as the Geological Museum with a collection of geological specimens housed in the Old Perth Gaol. 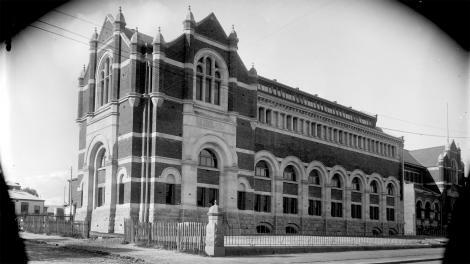 The term ‘geological’ is dropped from the Museum’s title and the building became simply the ‘Perth Museum’. WA prospers during the gold rush. The Jubilee Building opens housing the State’s Library, Art Gallery and Museum. 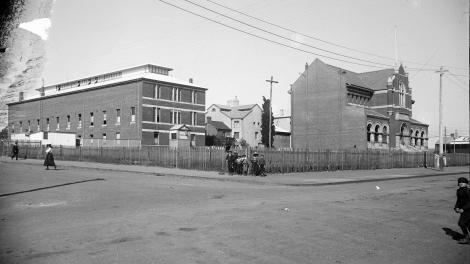 Part of the Gaol is removed to make way for this building. The Geologists’ offices is built on the Beaufort Street part of the site. 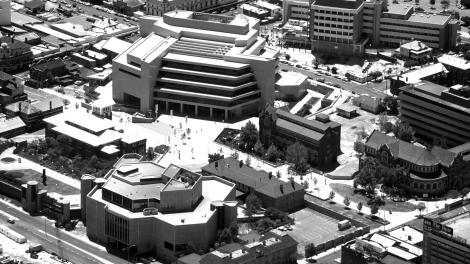 The new Victoria Library is built and the State Library is relocated into it, leaving the Museum and Art Gallery to share the Jubilee Building. 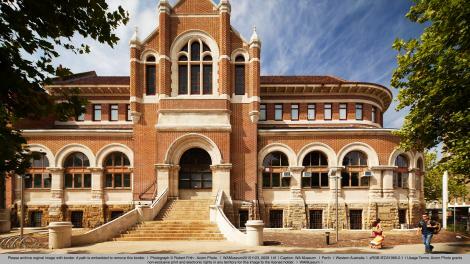 The Beaufort Street building is constructed between the Jubilee and Geologists building to house the Art Gallery. 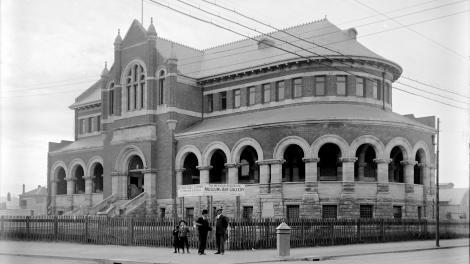 Hackett Hall is built as an extension to the Victoria Library building increasing the size and services of the State Library. There is little development on the site due to two World Wars, the Depression and slow economic recovery after World War II. The George Weick gallery is built to house the Museum’s collection of military arms and medals. WA experiences the start of a mineral boom. Premier Brand announces plans for a new museum building. 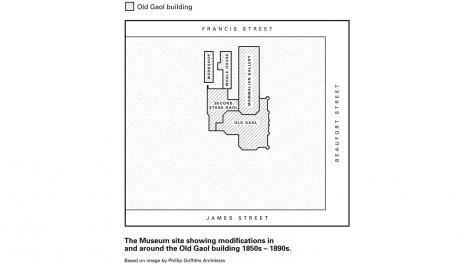 To make way some of the buildings around the Old Gaol are planned to be demolished. Woodward Gallery which housed the mammal collection was demolished from the site. The Wieck gallery and Nicolay Galleries are demolished. The Francis Street building is completed. Francis Street building is opened to the public with three floors of exhibitions and four floors of collection and administration space. The centrepiece of the Museum was the rare Blue Whale skeleton, an artefact that has become an icon of the WA Museum. The Art Gallery moves to its current premises on Roe Street. 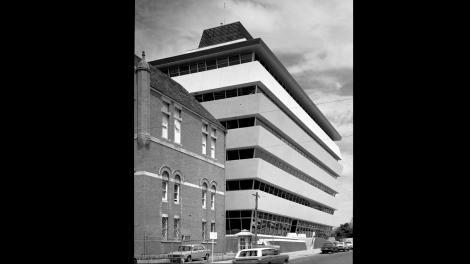 State Library moves to the Alexander Library building. The Victoria Library is demolished. Hackett Hall becomes part of the Museum and some alterations made to the rear wall in order to join it to a new extension for offices and store rooms. A glass insertion is placed between the Jubilee Wing and Hackett Hall to join the two buildings and become the Museum foyer. 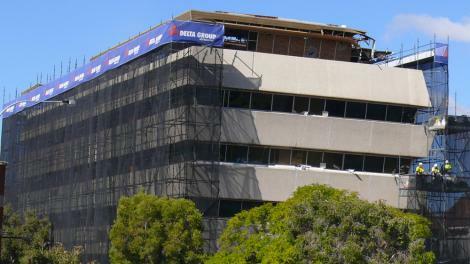 The Francis Street building is closed due to asbestos and for safety reasons. Staff and the collections are moved to the Collection and Research Centre in Welshpool. 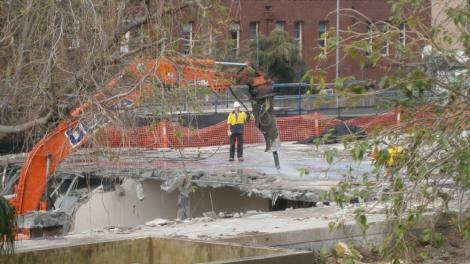 Francis Street building is demolished. 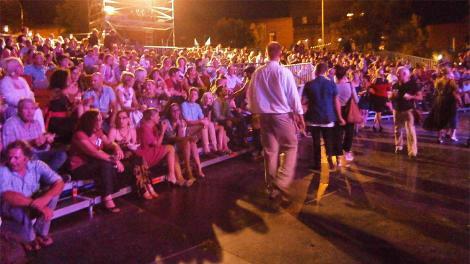 The temporary Museum Grounds are opened and become home to the Perth International Arts Festival’s Festival Gardens. Minister for Culture and the Arts John Day MLA announces the State Government’s commitment to build a new museum on the former Francis Street site. Heritage conversation works to the existing buildings is completed. The façades were cleaned, brick work was replaced or repointed where needed, wall ties were replaced, decorative features restored and the timber work repainted. The interiors of the heritage buildings will be revitalised as part of the main works. The Harry Butler Research Centre is delivered as a critical part of the New Museum Project. These works included a new purpose-built facility to store the Museum’s collection of spirit-preserved specimens, state-of-the-art research laboratories, preparation spaces and supporting infrastructure. The Centre was officially opened by Culture and the Arts Minister Hon John Day MLA and Harry Butler’s son, Trevor Butler. More than three million specimens were relocated from the former Wet Store to the new, state of the art storage facility. 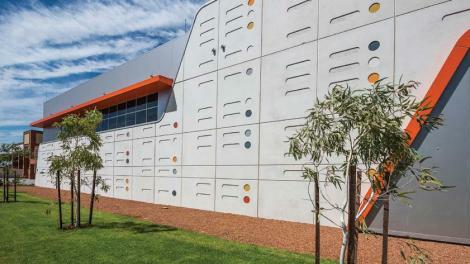 More than 11,000 objects are relocated from the WA Museum – Perth to the Collections and Research Centre, Welshpool in preparation for the development of the New Museum. 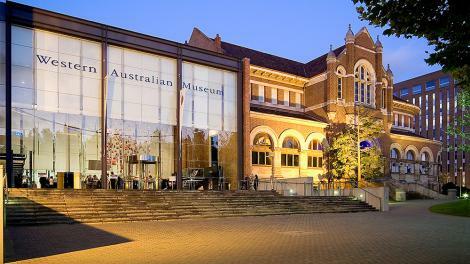 The WA Museum – Perth temporarily closes its doors for four years while the New Museum is being developed. The New Museum is scheduled to open in 2020. 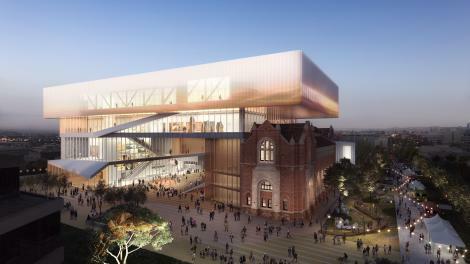 Multiplex, with its design team HASSELL+OMA, is announced as the Managing Contractor that will design and construct the New Museum for WA. The bold and dynamic design is publicly released to wide acclaim. 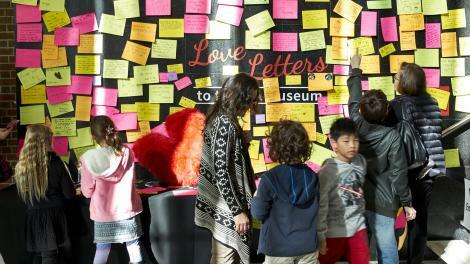 The Museum’s Discovery Zone opens in the State Library of WA. This is one of many displays, activities and programs being delivered as part of the Museum’s offsite activation program, creating opportunities for people to experience the Museum in new venues. 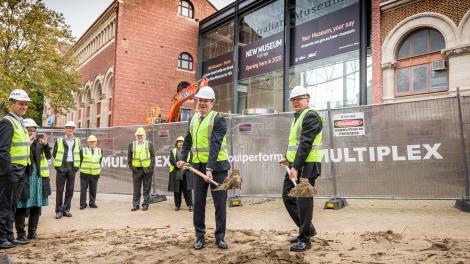 Premier Mark McGowan MLA and Culture and the Arts Minister David Templeman MLA turn the first sod at the site of the New Museum. At this time the glass foyer of the Museum was removed along with non-heritage elements on the site.